A hundred years ago, and even further back, a garden was kept outside the kitchen for medicine. The women of the era knew which plants produced the proper medicinal benefit for just about everything. They were the “doctor” of the house. Plants that could not be grown in the garden would be sought after in woods, and fields. The herbs were pick fresh during the growing season, and some were harvested and preserved for the winter season. When plants started to be synthesized in a laboratory, and chemical drugs came along, the kitchen garden pharmacy went by the wayside. Much of the knowledge too was lost, as it didn’t need to be passed down. For decades now, the “old ways” are being sought after as many people want a more natural approach to health. The following ten herbs are our favorite herbs to use here at Cloverleaf Farm. You can easily find these herbs in health food stores, and some of them you can find growing wild and are free. Most have multiple uses, so you can treat a wide range of health issues. ARNICA (Arnica montana) is for external use only, but is a must have for bruising. When put on a bruise, it helps to stop or minimize the bruise. Arnica is an anti-inflammatory and helps to improve circulation to the area. Arnica can be used before or after exercise to help alleviate aches from muscle tension. 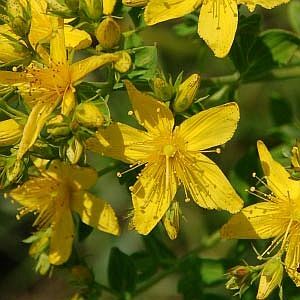 It can be mixed with St. John’s Wort, and Comfrey for more healing benefit. CALENDULA (Calendula officinalis) has many herbal healing properties, and should be in everyone’s medicine chest. It can be used both internally and externally. Calendula is an anti-inflammatory, anti-fungal, anti-viral, and acts as an astringent. It detoxifies and is a great wound healer. When used in a massage oil, it helps to relieve muscle spasm. Internally, taken as a tea, Calendula can help gastrointestinal and gall bladder issues. For wounds, bites, scrapes, scratches, and minor burns, Calendula’s anti-bacterial properties helps to heal wounds quickly. It can be blended with other herbs such as comfrey for more beneficial wound healing. COMFREY (Symphytum officinalis) is a wonderful healing herb that is literally “nature’s bandaid”. It is used as a poultice, oil, or salve for cuts, scrapes, burns, and other wounds. 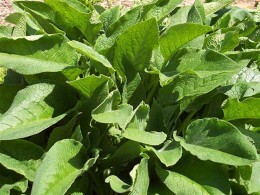 Comfrey, also known as “knit bone”, can also be used to help heal broken bones, sprain, and bruises. It can be used in the healing of tendonitis, muscle and ligament injuries. It stimulates the generation of new cells, and tissue quickly. This helps to accelerate healing. For this reason, any wound that comfrey is used on should be thoroughly cleaned. If not cleaned well, the wound can become infected. DANDELION (Taraxacum officinalis) is looked at in most places as a noxious weed. Ah, but it is so much more. Dandelion leaf is naturally high in potassium, which makes it a safe diuretic. A diuretic will help to eliminate waste from the urinary tract. Dandelion leaf can be drank as a tea, or taken as a tincture. Dandelion root is taken to help the liver. It is one of the best liver detox herbs. The root is made into a decoction, and drank. Alternatively, you can use a tincture. 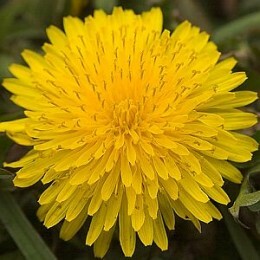 Dandelion root is often mixed with Milk Thistle for liver support. Early Dandelion greens has been used for centuries as a spring tonic. ECHINACEA (Echinacea pupurea) is a powerful immune stimulant, and although it has become very popular in recent years, Native Americans have been using it for centuries. Echinacea contains both antiseptic and anti-viral properties that are useful for treating colds, flu, and minor infections. It also has tumor inhibiting properties. It can be used topically to clean a wound, and internally to boost the immune system. Echinacea can be made into a tincture, or taken as a tea. The root can be made into a decoction. It is combined with other herbs depending on the ailment being treated. GARLIC (Allium sativum) is probably best known as a kitchen spice, but it is so much more. Garlic has a strong antibiotic effect, as well as being an antiseptic herb. It can be taken as a capsule, or eaten as a food. It is best to take garlic at the first sign of colds and flu. Garlic oil can be effective at treating minor ear infections. It can made easily at home from chopped garlic and olive oil. Two drops in each ear, and use a cotton ball to keep it in. Be sure the oil is just warm, and not hot, or it could harm the ear. This treatment should not be used in cases of eardrum perforation. 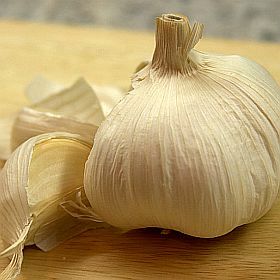 Garlic can also be made into a cough syrup for colds. Externally, garlic oil can be used to treat cuts and scrapes. It is usually mixed with other herbs for best results. GINGER ROOT (Zinziber officiale) is considered a carminative herb. Carminative herbs help relieve problems with the digestion where gas is an issue. Taken as a tea, it helps to alleviate nausea. As a tea, Ginger is also used as a tea to reduce fevers. It’s diaphoretic action helps to stimulate sweating, and therefore reduces fevers. Ginger essential oil can be added to a carrier oil for a warming massage. LAVENDER (Lavendula angustifolia) is a very well know herb. It’s essential oil is highly used in relaxing massage and spa products. Even though it is one of the mild nervines of the herb world, it can be drank as a tea to help you relax. Lavender is also a great anti-bacterial, and antiseptic herb. It can be used as a wash for wounds, and is included in many skin care products for it’s healing benefits to the skin. 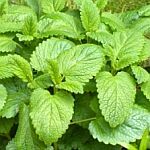 LEMON BALM (Melissa officinalis) is one of nature’s best anti-viral herbs. It is sometimes known as Melissa due to it’s Latin name. Lemon balm can be use to help heal cuts, sores, and scrapes naturally. It’s natural eugenol content is highly recommended for the treatment of cold sores, chicken pox, shingles, canker sores, and herpes. It helps with the pain of shingles as well. Lemon balm can also be used internally as a tea for anxiety and stress. As a tea, it is considered an herbal nervine. A nervine works on the nervous system to help it relax. ST. JOHN’S WORT (Hypericum perforatum) is used both internally and externally. Internally, a tea or extract is used for mild depression and anxiety. It can also be used as an immune stimulant. Externally, the oil extracted from the flowers is used for muscles. It is a wonderful healing aid for bruises, sprains, aches from rheumatism and arthritis, and even works for many Fibromylagia patients. With Fibromyalgia, it is very often mixed with other herbs for pain and inflammation. All the herbs mentioned are available from a health food store. If you intend on wild crafting your own, it is very important that you identify the plants properly before use. Many herbs, such as Queen Ann’s Lace (Wild Carrot), have poisonous look a likes. If you are unsure, do not pick and use. Check out Cloverleaf Farm’s online store to see which herbs we use in our medicinal ointments and skin care creams.